The home has changed dramatically since the onset of the technological revolution that began not two decades ago. The devices that appeared in Sci-Fi movies that depict the far-distant future now live on our bedside tables, our walls and even our ceilings. The future has well and truly morphed into the present, and it’s high time you joined the revolution. Perhaps the best advancement in technology in the past 5 years, is the quality improvement of wireless audio, in particularly headphones. Ever broke expensive headphones by catching the cord on furniture? Well, no more. With products like the Jaybird Freedom F5 In-Ear Wireless Headphones, you can finally liberate yourself from cables and enjoy high quality audio cable-free wherever you are. Harsh lighting can have adverse effects on your ability to sleep at night, as well as your mental wellbeing. 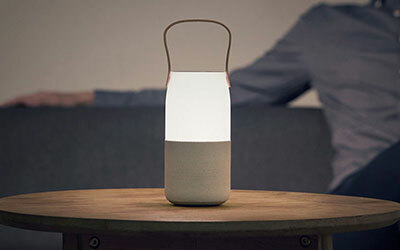 By using products such as the Samsung Wireless Speaker Bottle you can wirelessly control your lighting (and your music) straight from your smartphone to improve your home lighting situation. For example, a blue tinge of light can be better when you are trying to concentrate, but warmer, yellower light is more helpful in the evenings when you are getting ready for bed. There’s nothing worse than having a poor night’s sleep. A lack of sleep can lead to losses in productivity at work, and in some extreme cases, even depression. Sense from Hello, is a smart sleep tracker that monitors not only the quality of your sleep, but also the quality of your sleeping environment. Equipped with sensors to detect temperature, air quality, light intensity and noise levels, Sense will help you learn your ideal sleep conditions so you can maintain them and improve the quality of your sleep. Immersing yourself in music is a great way to escape the stresses of everyday life. Thankfully, many tech engineers feel the same way, and have created diverse and powerful speakers to surround your home in sound. 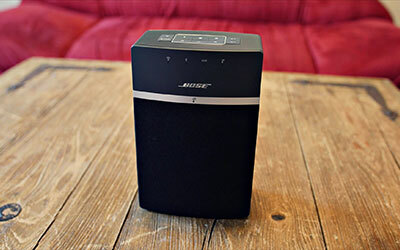 The Bose Soundtouch 10 Speaker is a great example of one of these. You can Bluetooth music straight from your phone, or broadcast it over local Wi-Fi to any room in the house that has one of these wonderful speakers in it. You can even toggle which speaker the sound goes to with just the tap of a button! Adding convenience to your home can save you endless amounts of time. Through using smart plug sockets such as WeMo from Belkin, you can remotely trigger power from anywhere in the home. For example, you can use these to toggle power to the kettle with your smartphone, to start boiling water from any room in the house, and when you go to make tea, hey presto, the water’s already hot! If you spend long periods of time away from home, or are very forgetful, your houseplants can really suffer. Parrot Pot can put an end to that. This is a flowerpot that tends to your plants while you’re away. It’s equipped with 4 sensors that monitor moisture, light, temperature and fertiliser levels in real time. It’s autonomous, wireless and operates on batteries so your treasured houseplants will be safe from power cuts. 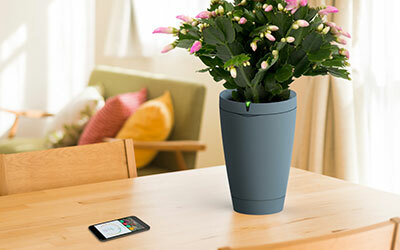 Monitor the plant conditions from anywhere through their app, and enjoy watching your plants grow from anywhere in the world (with an Internet connection). Fuel is one of the biggest costs of any household, and being able to save it where you can will make a big difference to your monthly budgets. By using products like Automatic you can get feedback on your driving, as well as warnings when you exceed optimal fuel consumption speeds, or brake too sharply or accelerate too quickly. These three features of driving are major contributors to fuel wastage, and Automatic can help you change your driving habits to save fuel and money in no time at all. 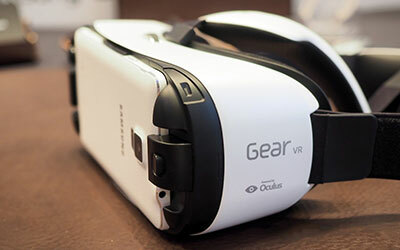 Perhaps the most futuristic of new toys is virtual reality, and few do it better than Samsung. Escape your everyday life and immerse yourself in virtual universes using the Samsung VR Gear 3. Play games, view locations or even experience live concerts – all from the comfort of your living room. In the earlier days, parents often put lights on timers to try and convince the outside world that everyone was at home, rather than on holiday in another country. Well today, you don’t need to do that thanks to smart technology. The Samsung Wireless IP Camera can be hooked up to your Wi-Fi network and will take a picture and send it to your smartphone whenever it detects movement. It also allows you to live monitor your home, which makes it great for keeping an eye on your pets when at work. As well as keeping fit, you can adventure smarter. 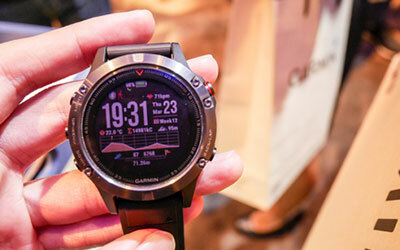 Take the Garmin Fenix 5 smart watch. Not only does this smartwatch handle your notifications from your phone, monitor your heart rate and look the part, it also comes built in with a suite of outdoor sensors, including GPS and GLONASS satellite reception and 3-axis compass with gyroscope and barometric altimeter. Track where you are with unerring accuracy, and see maps of your adventures when you’re finished! For that added security boost to your home, and what can be a lifesaver when you’ve managed to lose your keys, Kevo invented the Kwikset lock. This is a lock that has the ordinary key slot, but also can verify your identity via Bluetooth and unlock if your smart phone is held close to it. It adds an extra dimension to lock technology and gives you exactly the kind of smart lock security you need. Playing and disconnecting from your day-to-day activities is key to a healthy and balanced lifestyle. Advances in technology have meant that the toys and gadgets of today were those that could only be dreamed of in the past. 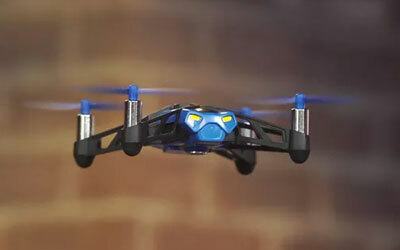 Take the Parrot Minidrone for example. Simply download the companion and you can fly your new drone directly from your smartphone, gathering camera footage as you go. This is a great way to relax, and even make some cool videos! Activity trackers are common place in modern society. These wearable devices can monitor your daily step count, exercise time, and heart rate, helping you reach your health and fitness goals. A great example of these trackers is Samsung Gear Fit 2, which comes with standalone GPS to track your runs, as well as the ability to play music on your wireless headphones to keep you motivated on the way. Help around the home is always appreciated. 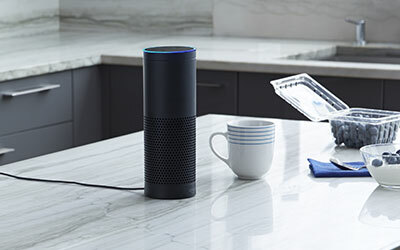 Home assistants like Amazon’s Echo or Google’s Home bring the power of a virtual assistant to your kitchen counter or bedside table. Linking up with your smartphone calendars, apps and internet services, you can ask Alexa or Google what the weather is like today, play music, or just get daily meeting updates. This takes the strain off your diary and uses smart technology to improve your organisation. With all of these devices needing a power supply, forgetting to charge them and having them die mid use can get very frustrating. Well, thankfully, a solution to this problem has been thought of too! You can grab yourself a mobile power supply like the Samsung Kettle Design Battery Pack. Charge your battery pack at home and recharge your devices on the go, so you never miss anything. There’s never been a better time to get on board with the ways of smart living. The cost of adoption has fallen dramatically in the past few years, and the platform has only continued to grow. Combine this with the benefits and enhancements that they can offer your lifestyle, and you’ll see why it’s such a rapidly growing technological innovation, and one that you should absolutely be a part of. Try smart living solutions now!